Now in their eighth year, Grammy-winning Tedeschi Trucks Band has earned its reputation as one of the premier live acts touring today. 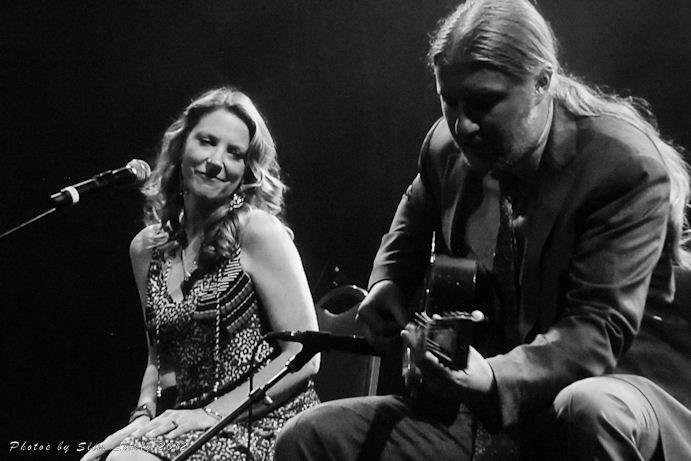 The 12-piece ensemble, led by the husband-and-wife team of guitarist Derek Trucks and guitarist-singer Susan Tedeschi, is a true collective and a rarity in rock-and-roll — every member of the group is featured while still serving the band’s unified vision, pushing the boundaries of group dynamics and improvisation to inspiring new heights. Praised by reviewers for their “joy-filled blast of blues, soul and rock” (Philadelphia Inquirer) and “stellar musicianship” (Denver Post), TTB is a touring juggernaut, on the road over 200 days a year and never playing the same set list twice. The Tedeschi Trucks Band will be bringing their signature pulse-pounding show to Portland for one night at the Keller Auditorium, 222 SW Clay Street, on Friday, November 3 at 7:30. Tickets are available at the Portland’5 Box Office, TicketsWest outlets or by phone 800.273.1530, ranging from $39.50 – $69.50. Hard Working Americans open the show.